Allwave lasers社 Semiconductor Optical Amplifier Devices | Allwave lasers | レーザー機器　専門商社｜株式会社アルクゥズ　ALQUZE Inc. 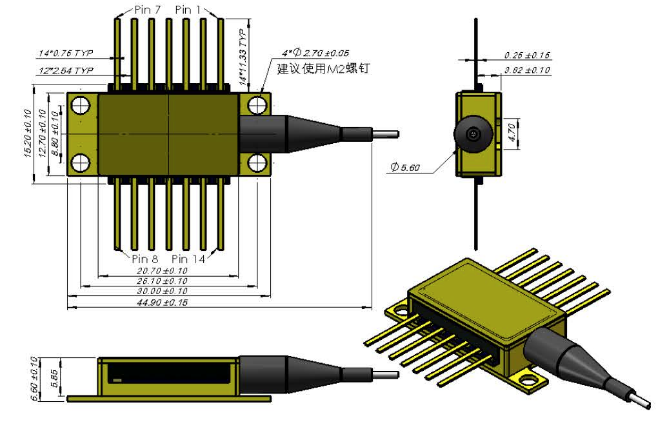 Product Description: The SOAD fiberoptic amplifiers at 1310nm and 1550nm are designed by using a high quality angled SOA chip and a TEC which can assure a stable amplified output for a large dynamic input signal. The devices are available in a standard, 14-pin butterfly package at the 1310nm and 1550nm bands. The SOA devices have high optical gain, high saturation output power, low polarization dependent loss, low noise figure and broad wavelength range. We have options of optical isolators for input and/or output side as well as output fibers of SM fibers, PM fibers and other special fibers per customer specifications. The products are Telcordia GR-468 qualified, and in compliance with RoHS requirement.